Welcome to Alaska. 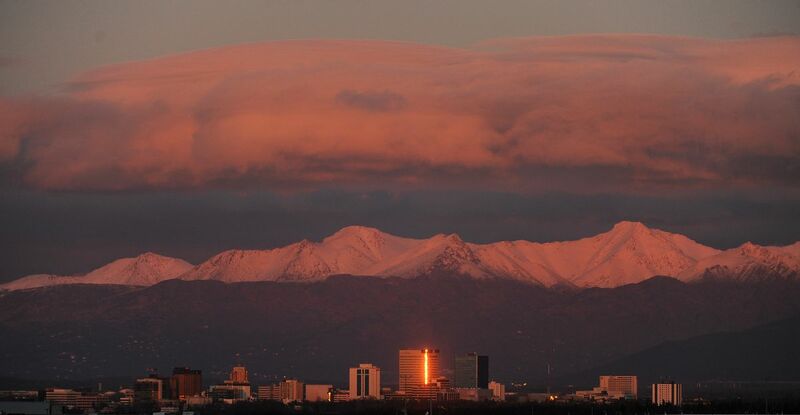 As you travel the state, someone's bound to tell you that you're going to move here someday. The stories of travelers turned transplants are legion. If you see me around town or on a trail (dark blonde hair, tortoiseshell and lime green glasses), ask me. I've got one of those stories, too. This place grabs your eyes, imagination and heart first, thanks to the mountains that watch over you as you fly or drive in, and then for its people. Yes, there are pieces of Anchorage that will challenge the eye and mind — and not in a good way. The architecture tends more toward "that'll do" than thoughtful or beautiful. And, like other American cities, Anchorage has its problems: This is, after all, a city. A real city. A small city threaded through with homelessness and addiction and a few too many car thefts, too. But it's also a most unusual American city, a place where moose occasionally cause traffic delays, where many locals have backcountry stories that can rival (or appear on) National Geographic TV specials, where a new craft brewery seems to open every third day. Where the culture of the Dena'ina people, who lived here long long before Alaska was Alaska, remains a force in modern life. So, eat your protein. (Perhaps, salmon?) 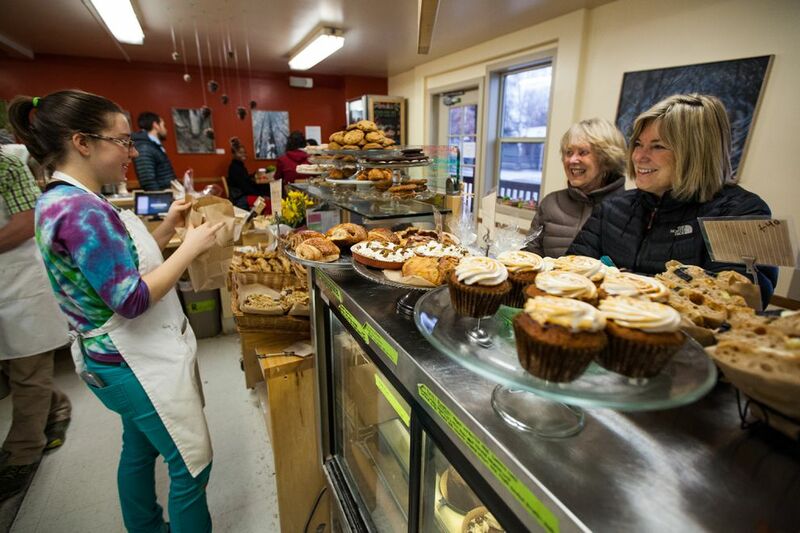 Keep the coffee flowing (not a tricky thing to do around this town — coffee shops and shacks pepper the landscape). You've got one day and a lot to do. On the way to your next stop, fill your water bottle and pick up a to-go lunch order at Snow City Café. (The meatloaf sandwich should be famous; 1034 W. Fourth Ave.) You're going hiking. While everybody else stretches their legs downtown or on the often-too-crowded main trail of Flattop, you're going to hike Mount Baldy, a locals' favorite out in Eagle River (still within the Municipality of Anchorage). The trailhead is at the top of Skyline Drive. But don't scramble up the cranky trail that starts right from the parking lot. Instead, head to the trail that slopes far more gently up the back of Baldy. The 3-mile trail — that's your round-trip total — takes about two hours. Maybe a drop more if, like me, you're a slow-but-steady kind of hiker. Leave the speedy trips to those who don't like to look around. You've got things to see. Up top, sit and eat that meatloaf while looking out over Eagle River and Knik Arm. 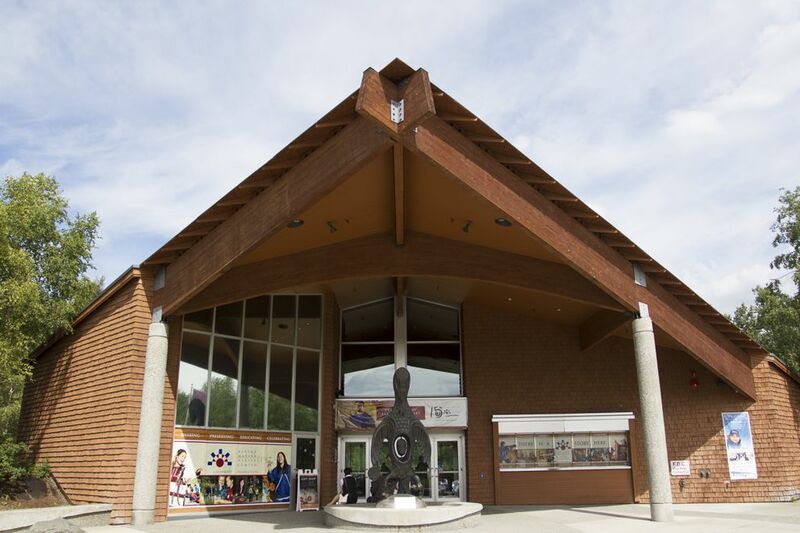 Once you're back in Anchorage, ground yourself in Alaska past, present and future with a stop at the Alaska Native Heritage Center (8800 Heritage Center Drive). Children from the many Alaska Native groups around the state are often the storytellers here. Talk to them about the ways they've learned their grandparents' languages and walk the trail that winds through the six full-size traditional dwellings. Make sure to take in a music and dance performance too. Grab a coffee from Kaladi Brothers Coffee at New Sagaya (900 W. 13th Ave.) to sip while you wait in line a few blocks away at Fire Island Rustic Bakeshop (1343 G St.). You'll appreciate the time to ponder the offerings, because there is a lot of goodness — both sweet and savory — to take in. If you lean sweet, go scone. Savory? A breakfast sandwich. No, wait. The focaccia with whatever delicious is layered on it that day. No, wait. A savory scone! You get the idea. Whatever you choose, get a few chocolate chip cookies to go. One of Anchorage's oldest and most charming neighborhoods, South Addition (where Fire Island is situated) is filled with an eclectic mix of houses. Walk around. There are plenty of artists in the neighborhood, and the houses often reflect their personalities. Don't miss a chance to ogle the stunning flowers outside A Wildflower Inn (yes, it lives up to its name; 1239 I St.). With your Anchorage wander down to the wire, you can do no better than to take in the renovated Anchorage Museum at Rasmuson Center (625 C St). The museum, which focuses on the art, science, culture and history of Alaska, now provides reasons for both locals and visitors alike to return time and again. Start in the Alaska galleries. What used to be a somewhat dusty tired display now puts all of Alaska's wonders and challenges right in your face. After that? Just wander. You'll extend your time in town. I'm certain of it.